Cost:Tickets starting at $47. Discounts available for UC Davis Students/Staff/Faculty, Active-duty Military, Youth and Non-UC Davis Students. There is something special about the sound of the piano trio that propels master pianists to another level. The trios of Keith Jarrett and Brad Mehldau—to whom Brazilian pianist André Mehmari is often likened—provide evidence of the power of piano trio alchemy. 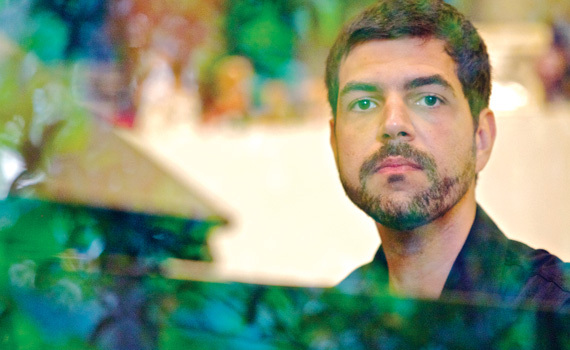 Mehmari now brings forth his trio – bassist Neymar Dias and drummer Sérgio Reze – to explore the work of Clube de Esquina. Led by Milton Nascimento, this group of Brazilian artists blended ideas from pop, folk music, bossa nova, jazz, and classical avant-garde to create hymns honoring friendship and dialogue that are among the greatest treasures of Brazilian music.